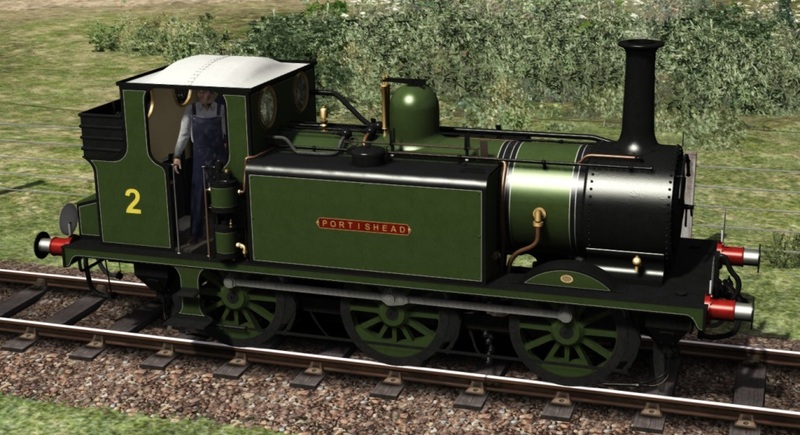 As we hinted at previously there is going to be another Terriers livery pack, this one entitled "The Later Years", and we'll be showing the contents over the next week or two. 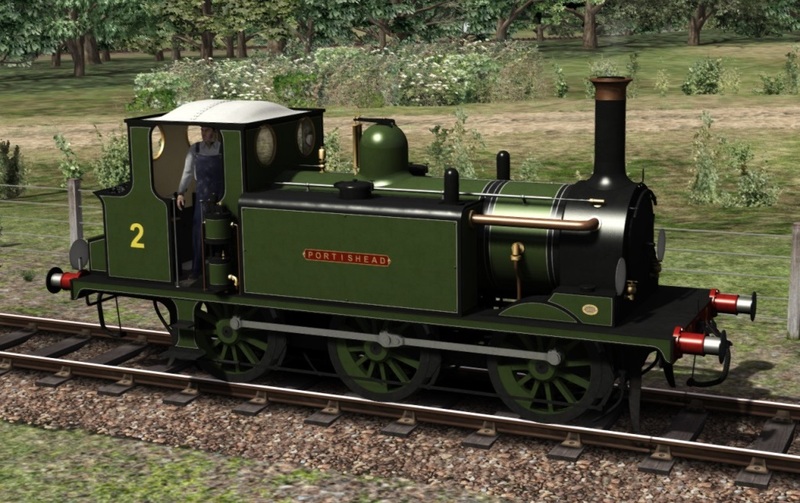 Today we're looking at 2 Terriers that were purchased for the Weston, Clevedon & Portishead Railway, made famous by the eccentric Colonel H F Stephens, which was a branch line connected to the GWR. It's a fascinating line and well worth reading about. Known as the WC&P Railway there is a story told of a lady who clouted a helpful GWR Stationmaster over the head with her umbrella after she asked for the train to Clevedon and misheard his reply as a suggestion to "go over to the WC and pee!" Note: WC is an abbreviation of water closet, meaning toilet. The 2 Terriers on the WC&PR were No. 43 "Gipsyhill" and No. 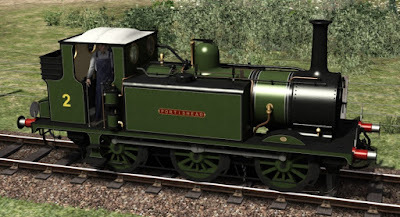 53 "Ashtead", purchased from the Southern Railway in 1925 and 1935 and numbered No. 2 "Portishead" and No. 4 respectively. Sadly the line closed in 1940 due to it's worsening financial state and the last train was pulled on May 18th by No. 4. 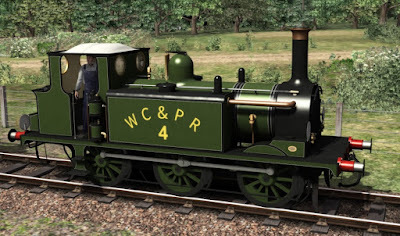 Included in the pack are both WC&PR versions as an A1. What happened next to these 2 engines may come as a surprise to those who don't know and we'll be taking a look at that livery next week. Will this one be re-nameable? Certainly. 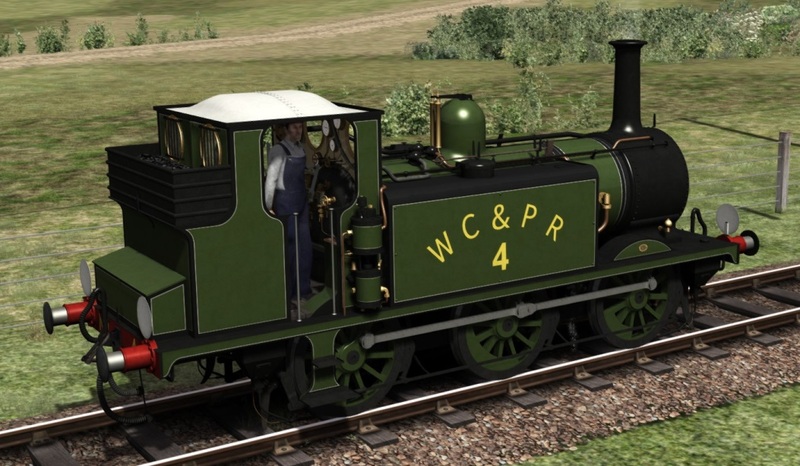 All engines with names can be set with any name you like with 5 to 11 characters. I guess these will also have a BR version on them. if so could you make a weathered/ heavy weathered br black and green?